I am the co-funder and program co-chair of the 1st edition of the International Symposium on Multi-Robot and Multi-Agent Systems, MRS 2017, in Los Angeles, California. MRS is a new initiative of the IEEE RAS Technical Committee on Multi-Robot Systems. 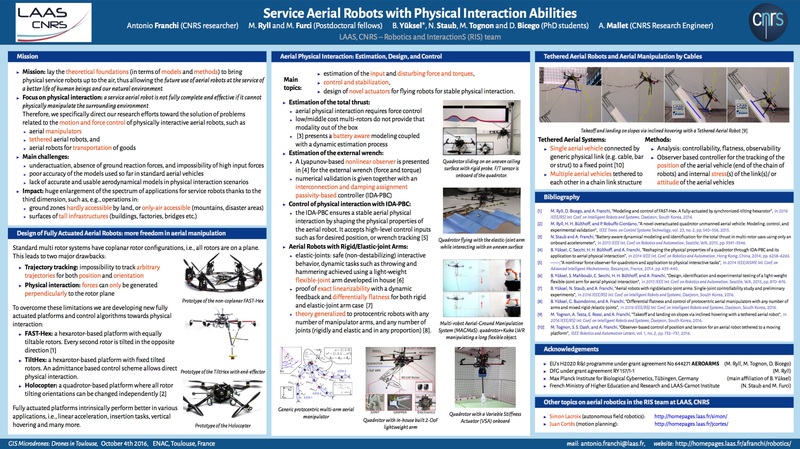 The goal of the conference is to bring together researchers who are in the field of multi-robot systems (MRS) both directly and indirectly, to cross-fertilize ideas. Typically MRS research is spread across large conferences, and this makes it difficult for MRS researchers to keep up to date on new findings and meet others in the area. The intent of the conference is to bring those researchers together with a high-quality symposium to highlight the best in the field. We would like to see the top advances in multi-robot and multi-agent research represented at MRS 2017.